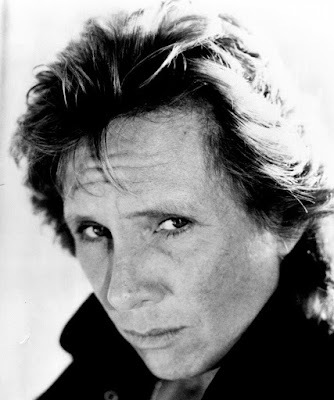 - Benny Mardones exploded onto the music scene in 1980 and was quickly nicknamed "The Voice," a title earned because of his incredible range, as well as his soulful and passionate performance of "Into The Night." The song became a radio classic across the country, topped the charts twice, and became one of the most frequently played tunes in radio history. It is estimated that the song has been played more than 4,500,000 times in the US alone. Benny was born in Cleveland, Ohio and raised in Savage, Maryland. As a young boy, Benny saw Elvis Presley on the Ed Sullivan show, and made the decision to become a rock and roll singer. As a teenager, Benny formed his first group, singing at local high schools and colleges in the Maryland area. After a stint in the Navy during Vietnam, Benny moved to New York City where he met Joel Diamond, then President of CBS Publishing. At Joel's suggestion that Benny try his hand at songwriting, Alan Miles co-wrote the song "Too Heavy To Carry" with Benny. Two weeks later, Brenda Lee recorded the song and Benny the songwriter was born. After some corporate shake-ups, Benny and Alan found themselves unemployed. 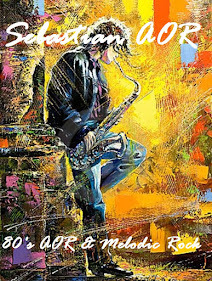 Alan decided to move to California where he started a band called The Band with No Name and released a record on the legendary disco label Casablanca. Benny moved to Woodstock, New York with his friend DL Byron with whom he had started a band called Justice. After the breakup of Justice, DL Byron moved back to NYC. Eventually, DL signed a deal with Arista and wrote the song "Shadows of The Night" which became a number-one hit for Pat Benatar. In Woodstock, Benny met Richie Havens who was so impressed by Benny's talent that he invited Benny on the road as his opening act. During the tour, at a rally in NYC, Benny came to the attention of legendary promoter Ron Delsener. Soon after, Blue Oyster Cult canceled as the opening band for Dave Mason and Peter Frampton, and Benny was asked at the last minute to open the show at Madison Square Garden. 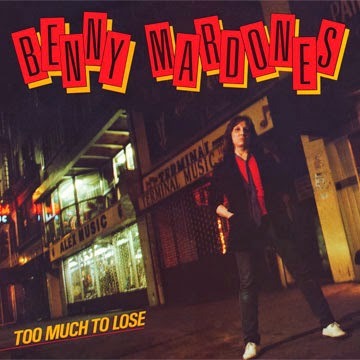 Benny's New York appearances brought him to the attention of Andrew Loog Oldham, who had produced the first seventeen Rolling Stones records, and Larry Utall, President of Private Stock Records (the original home of Blondie). Benny signed to Private Stock and the record "Thank God For Girls" was released in 1979. Private Stock folded not long after the record's release. Benny's friend, Bill McGathy, (now one of Benny's closest friends and confidants as well as Michael Everetts godfather) had just taken over as the head of National Promotions at Polydor Records. Through Bill's efforts, Benny was eventually signed by Polydor. With his new writing partner Bobby Tepper, Benny put together a collection of songs that far surpassed his earlier work. Together with producer and friend Barry Mraz (Styx, Ohio Players), Benny recorded the album "Never Run, Never Hide." The record included "Into The Night," which became a number one record on the CHR and AC charts. Despite his professional success, Benny's personal life was at an all time low. He found himself battling the demons of drug addiction, and discontinued all concert performances, recordings, and appearances. To the rest of the world, it seemed Benny Mardones had fallen off the face of the earth. After numerous personnel changes at Polydor, Benny released his next album, "Too Much To Lose." Benny's drug problems, coupled with Polydor's financial problems were too much, and the album was a huge disappointment. Benny sunk even deeper into seclusion. Benny disappeared everywhere - everywhere, that is, but Syracuse, NY. With the help of fans like Tommy Nast, then program director at local station 94 Rock, Benny's music was constantly on the air in Syracuse. In 1983, he played a legendary concert at Longbranch Park with more than 10,000 people in attendance. BennyMania took hold in upstate New York. In 1985, Benny played four sold-out shows at the 3,500-seat Landmark Theater. At his peak in Syracuse, Benny would draw 24,000 fans to a show at Weedsport Speedway. With all his records out of print, local promoters released two "Syracuse Only" records. These included "Unauthorized" and "American Dreams," each of which sold over 18,000 copies in Syracuse. Benny's sales topped even new releases by performers like Bruce Springsteen. When his son Michael Everett was born in 1985, Benny knew he had to quit using drugs so he could raise his son. Benny settled in upstate New York in an attempt to get his life in order. In 1989, KZZP, a major radio station in Arizona, was running a segment entitled "Where Are They Now?" The most popular question was, 'Whatever happened to the guy who sang "Into The Night?"' Scott Shannon, then program director for Pirate Radio in Los Angeles, added "Into The Night" to its playlist. Radio stations across the country followed suit and "Into The Night" once again established itself as the most requested record on radio. Due to the success of "Into The Night," Curb Records signed Benny Mardones and he quickly recorded "Into The Night '89." The track appeared on his self-titled release (known as the "Blue Album" by his fans.) Not long after that, Benny was asked to appear on a Showtime tribute to Roy Orbison, alongside such luminaries as Bob Dylan, John Fogerty, Johnny Cash, and K.D. Lang. Elvis Presley's band was the house band for the evening. When Benny came on stage to sing "Running Scared," few people know Benny's name, but when he finished the song he received a standing ovation. The self-titled record was followed by one more release on Curb. Despite their best intentions, Curb was not able to propel Benny's career and they eventually parted ways. Curb, best known for country acts like LeAnn Rimes, was never able to properly promote Benny. In 1998, still looking for a record deal, Benny was signed to Mariah Carey's Crave Record label, and released the record "Angel." Despite positive reviews and strong radio support, Crave went out of business three weeks after the record's release. Fuel Records, a division of Universal, reissued the record the album under the name "Bless A Brand New Angel" that same year. Unfortunately, too much momentum had been lost, and the record floundered. 1999's Angel didn't have quite the same chart impact as his breakthrough single but added to Benny's a strong, devoted following who continue to cheer for for his raspy voice and down-to-earth songwriting. Indeed, his song "Bless a Brand New Angel" was written for a young fan who succumbed to cancer. This emotional, spiritual quality imbued Mardones's later work like Angel with a new resonance. In 2002, the singer issued Journey Through Time, a collective of new recordings of originals and covers that were important to him in his career, intended to be a soundtrack to a documentary film about his life. Journey has become one of the fan's favorite releases and includes an incredibly acoustic version of "Into The Night." In 2006, "Let's Hear It for Love" was released on Warrior/Universal Records. - Vocalist BENNY MARDONES, born in Cleveland, Ohio but raised in Savage, Maryland, has gained a great deal of respect in AOR circles. He would achieve a unique feat with his Billboard hit 'Into The Night' from the 'Never Run, Never Hide' album, this song breaking into the top ten twice. 'Into The Night' still ranks in the all time top 25 most played songs on US radio. Estimates put individual radio plays of 'Into The Night' at over 4 million. Mardones, with his emotive vocal style and great range, became an overnight star. Leaving a Navy career behind Mardones relocated to New York where he soon established himself as a hit songwriter. His first recorded work, the song 'Stand And Be Counted' recorded in collaboration with Alan Miles, was issued under the title TROY as the record label felt his real name lacked star quality. Switching bases to California Mardones recorded an album for Casablanca Records with the group THE BAND WITH NO NAME. Before long he would be back in New York as member of the band JUSTICE. Striking out solo his luck held out as he was invited to perform as opening act to DAVE MASON and PETER FRAMPTON at the legendary Madison Square Gardens venue following a cancellation by BLUE OYSTER CULT. This appearance brought Mardones to the attention of ROLLING STONES mentor Andrew Loog Oldham, scoring a record deal with the Private Stock label for the debut 'Thank God For Girls'. Unfortunately the Private Stock label hit the dust shortly after the record release but Mardones secured a new home at Polydor. The singer / songwriter's first product was the Barry Mraz produced 'Never Run, Never Hide'. In 1980 Polydor issued a live promo album to American radio stations containing tracks recorded at the Agora Ballroom in Cleveland, Ohio on August 19. Mardones' band that night comprised guitarists Ron Bloom and Ron Norris, bassist Robert Tepper, keyboard player Duane Evans and drummer Pat Marshino. Sadly, Mardones found himself in the grip of a severe drug addiction, exacerbated when the follow up album 'Too Much To Lose' failed to sell. Oddly, Mardones fell from favour and would spend many years away from the music scene. Even stranger still it appeared that the entire USA except Syracuse, New York, had forgotten him. In Syracuse however the singer could pull huge concert audiences, performing to 24,000 fans to a show at Weedsport Speedway and selling out four back to back gigs at the 3,500-seat Landmark Theatre. Two albums, 'Unauthorised' and 'American Dreams' bizarrely saw distribution only in Syracuse. In 1989 Mardones made an astonishing comeback with a deal with Curb Records and a polished album that found Benny collaborating on material with TOUCH and DRIVE, SHE SAID man MARK MANGOLD singer / songwriters MARK SPIRO and Robert Tepper. Ex-TED NUGENT, AMBUSH and MASTEDON man Dave Amato and TOTO drummer Jeff Porcaro also contributed. The hit 'Into The Night' received a second wind of radio play and became a hit all over again. So remarkable was this career resurrection it spawned the movie 'Into the Night: The Benny Mardones Story'. In 1998 Mardones signed to Mariah Carey's Crave label but just weeks after the release of the 'Angel' album this label went bust. Universal Records picked the album up to re-distribute it as 'Bless A Brand New Angel'. 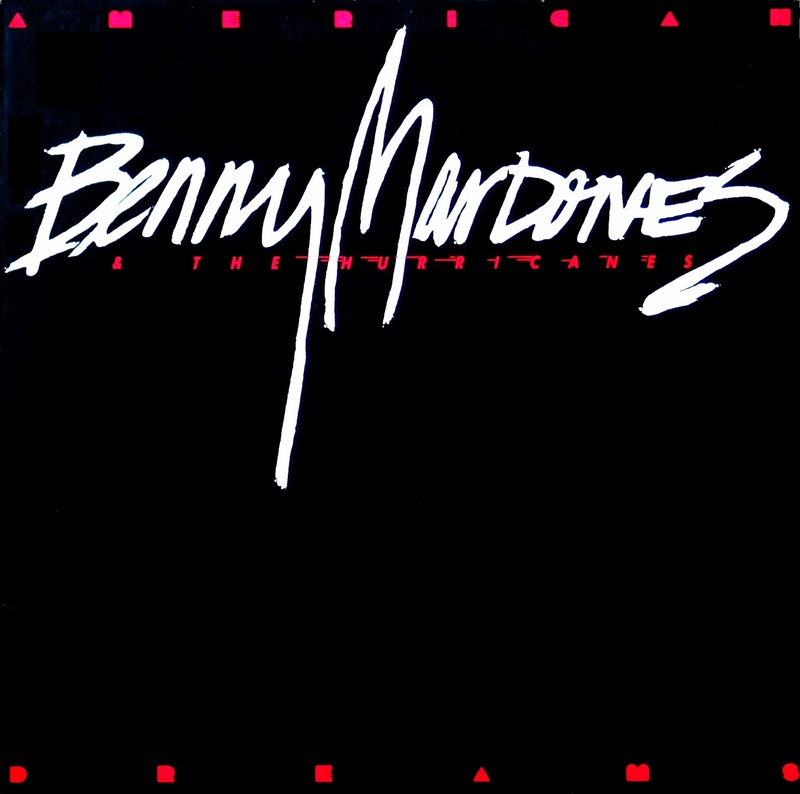 - Singer/songwriter and Maryland native Benny Mardones made a huge splash with his '80s hit "Into the Night." The song made the Top Ten twice, a first for a solo artist. Originally from the 1980 album Never Run, Never Hide, the song was also included on his self-titled 1989 release. Though his subsequent releases like 1996's Most Requested Songs and 1999's Angel didn't have quite the same chart impact as his breakthrough single, Mardones earned a strong, devoted following for his raspy voice and down-to-earth songwriting.